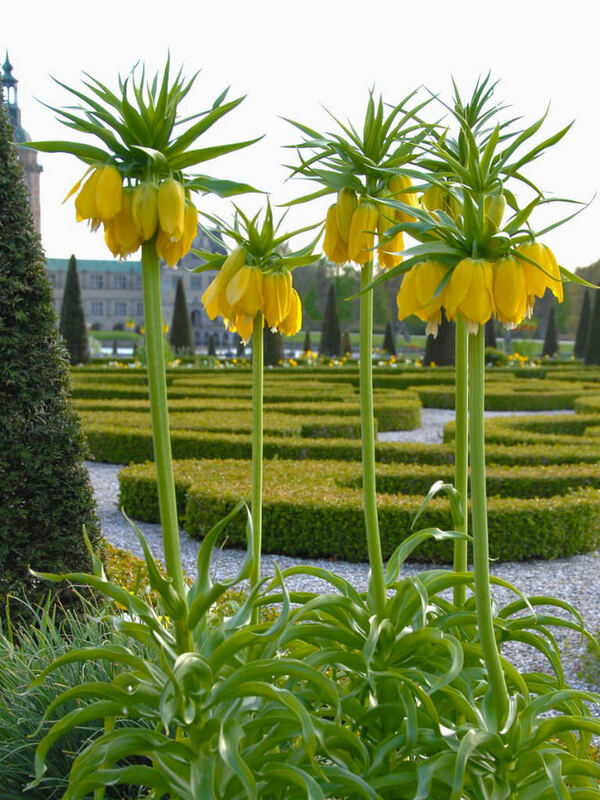 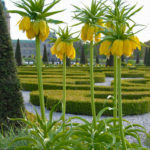 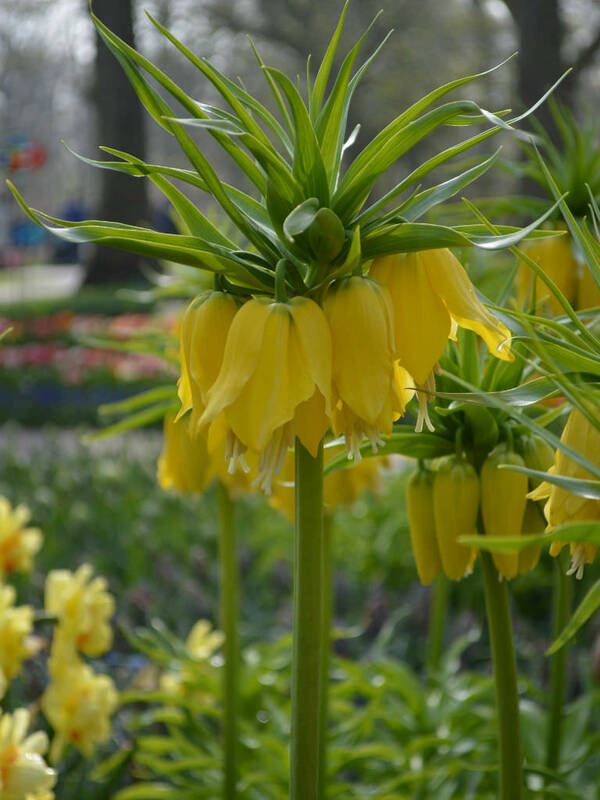 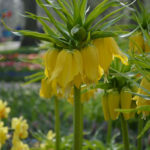 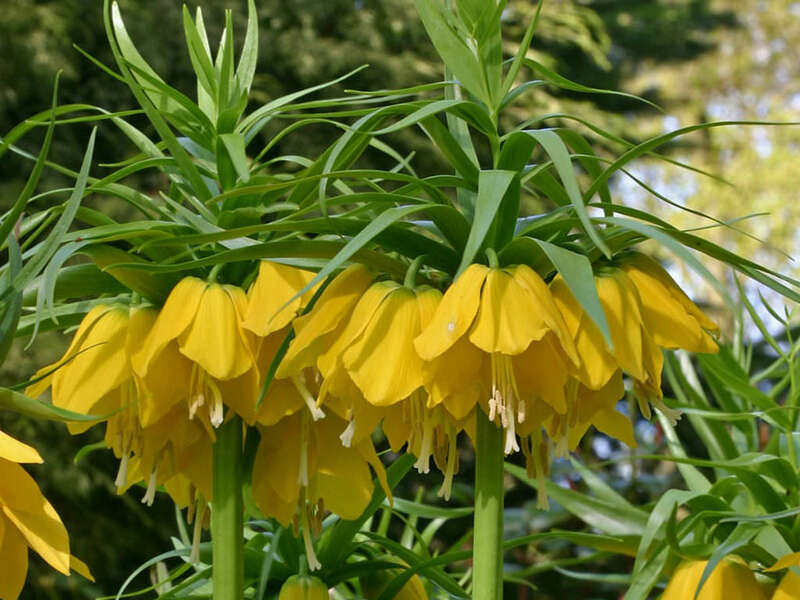 Fritillaria imperialis ‘Maxima Lutea’ is a bulbous, herbaceous, perennial plant up to 5 feet (1.5 m). 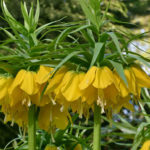 It bears lance-shaped, glossy leaves at intervals along the stem. 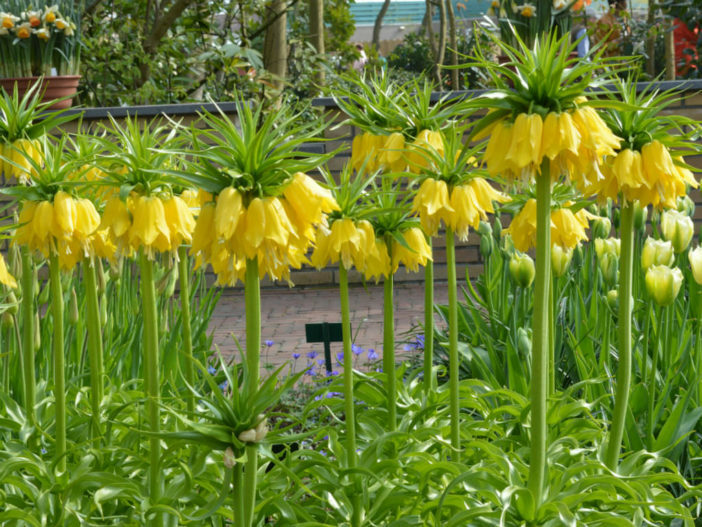 At the top of the stem, the downward facing, bright yellow flowers are topped with a ‘crown’ of small leaves.